Parents want the best for their children, and oral health is no exception. Fortunately, it’s easy to develop good dental behavior for kids. Here, Monrovia dentist Dr. Q offers her advice for parents and children from birth through the early years. Get started even before your baby has teeth. Infant newborns may not have pearly whites to brush, but it’s still important to care for their hygiene. You can use a clean, moist cloth along your baby’s lips and gums. Gentle touches can remove bacteria from the baby’s mouth and, as your baby gets older, prepare him or her for teeth brushing. Congratulations! It’s a new tooth. A milestone in your baby’s development, the appearance of a tooth is the first step towards a brilliant smile… and, of course, some growing pains. You can use a child-sized toothbrush to clean around your baby’s gums and along the tooth (as a Monrovia dentist, Dr. Q can recommend a brand or device to use.) If the tooth is still sensitive, it’s okay to use a clean cloth instead. Again, you are working towards two goals: a healthier mouth for your child and helping him or her become comfortable with cleaning brushing. Make brushing part of your children’s routine. Once kids are old enough to hold a toothbrush safely and with some dexterity, supervise brushing and flossing and make it part of their everyday routine. Floss, you say? Take it from a Monrovia dentist: flossing is a very important part of oral care. Even if you yourself don’t have a perfect record of flossing thrice a day, starting at a young age can get children into important habits for the rest of their lives. As with brushing, flossing should be a supervised activity for young children. You’ll likely need to help them since it can be hard to hold the string properly and get at all of the gaps. Be sure to use very gentle pressure so that they don’t experience discomfort (and use it as an excuse to avoid flossing in the future). Have them visit the dentist. Some children develop a phobia around dental visits, and unfortunately, some parents let visits lax as a result. Twice-yearly cleanings are essential. 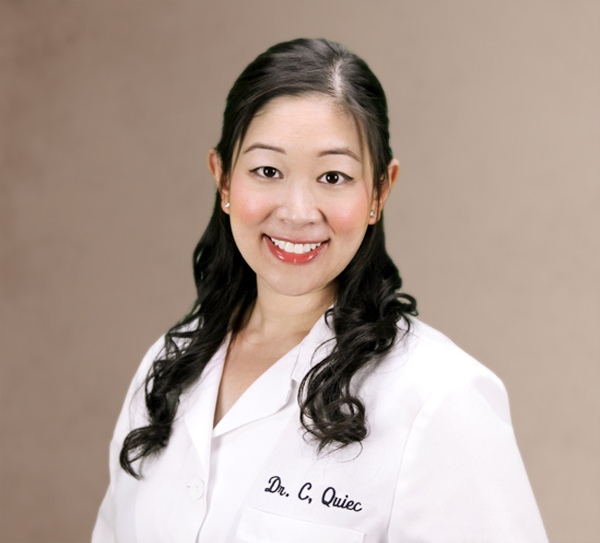 In addition to being a Monrovia dentist, Dr. Q is a mother who understands the challenges of good dental care for children. She and her staff work to make pediatric visits a comfortable experience and promote a welcoming, personal environment in the dental practice. Whether you’re the parent of a newborn or your “babies” are almost teenagers, developing good oral health is all part of the job. Follow Dr. Q’s advice to help maintain and protect your kids’ beautiful smiles. Learn more about pediatric dental care. Call Dr. Q at (626) 599-9818.